Plans for the AV/Nav setup in the A4 have changed quite a lot over the past few months. Unless you went for an after-market radio/head-unit there just wasn’t really anything that would integrate well with an Android phone. The first idea was to take advantage of the pogo-pin equipped landscape desktop dock for the Samsung Galaxy Nexus. I got as far as mounting the Concert II single DIN radio into a double DIN cage, cutting down my climate control unit to fit the lower position, buying the Samsung dock, and ordering the Connects2 AUX adapter before I realised I’d probably be getting a new phone soon – f**k! – all this will be useless. I’d of been okay if the latest generation of Android devices had docks with audio outputs, but they didn’t. So the whole plan wasn’t very future-proof and needed a rethink. The latest devices didn’t need audio docks with 3.5mm or phono outputs as their bluetooth chips supported much higher quality audio than previous generations. Even the latest Audi AMI/MMI systems like the one in my brother’s 2013 A4 support audio playback from his iPhone over bluetooth. So this is what I needed to aim for. 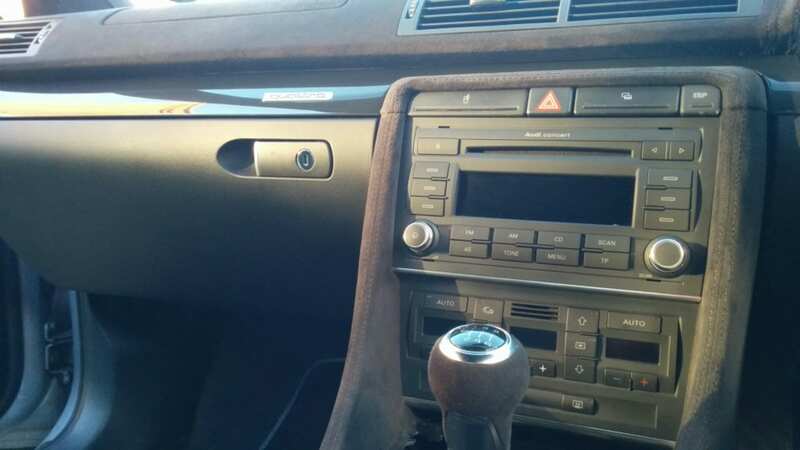 I knew Audi did an iPod/iPhone dock that replaced the glovebox CD changer, Andy had one in his S5 and it worked great with that MMI system. And I knew there were bluetooth adapters that allowed these OEM docks (which used the old iPod/iPhone connector) to work with apple’s latest lighting connector devices. As bluetooth was universal, it would be a good bet that these bluetooth adapters should allow any bluetooth audio device to connect via the Audi iPod dock. So I spent some money to test it out. The iPod bluetooth adapter I went for was the Viseeo Tune2Air WMA1000 for £70. 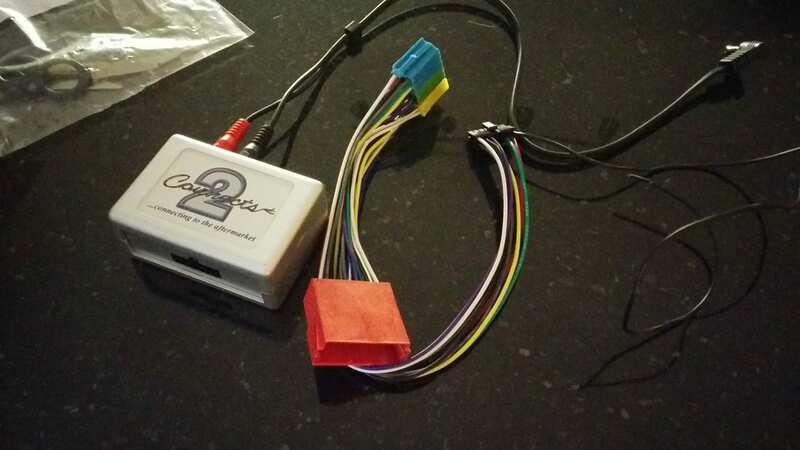 It’s tiny, and I thought it’d look pretty much like OEM kit once it was plugged into the glovebox iPod dock. The first test was to plug it into the AMI system in my brother’s A4, test it out with his iPhone 5S and my Galaxy Nexus. 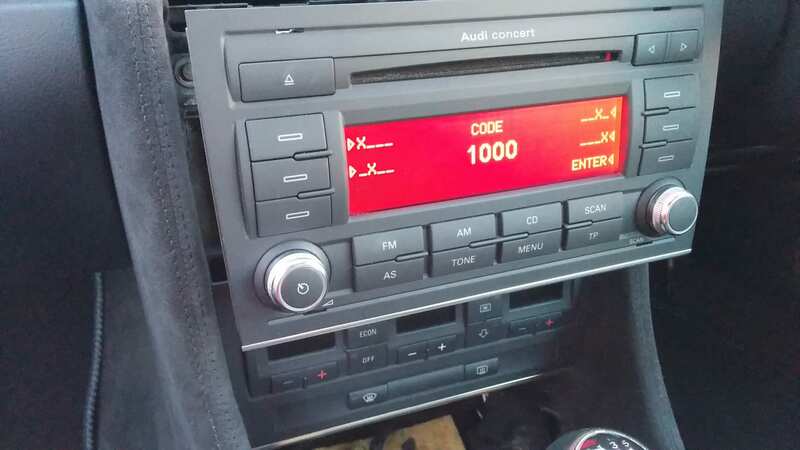 He was impressed with all the functionality that was available over Bluetooth, and said it was behaving as though it was actually plugged in, which provides more control verses Audi’s stock Bluetooth audio playback, sound quality was also better than the audio over Audi’s bluetooth playback. With the Galaxy Nexus connected only basic track control was available (play, pause, skip), and no track information. But still pleased to find that it does work, at least when hooked up to the latest Audi AMI/MMI interface. Next on the shopping list was Audi’s glovebox iPod dock. After exchanging a few emails with Kufatec they confirmed that it really is a direct replacement to the CD changer and even connects with the same plugs and cables. By the time this had been delivered and I’d got it installed, my Nexus 5 had also arrived which should mean better sound quality over bluetooth. Maybe I just got lucky, but here it is connected up for the first time and working perfectly through the Concert II radio. The Concert II radio is just there to test everything out. I’ve got the Concert II+/III radio, but I need to get an unlock code for it. Without going for something after-market I think this is probably about as good as it will get in terms of wirelessly connecting an Android phone to an OEM radio in the B6/B7 generation cars. Unless maybe more is possible with one of the later RNS-E nav units, but I don’t have one to test. I’ll update this post once the Concert III is working, along with a parts list, model numbers and another video demo.